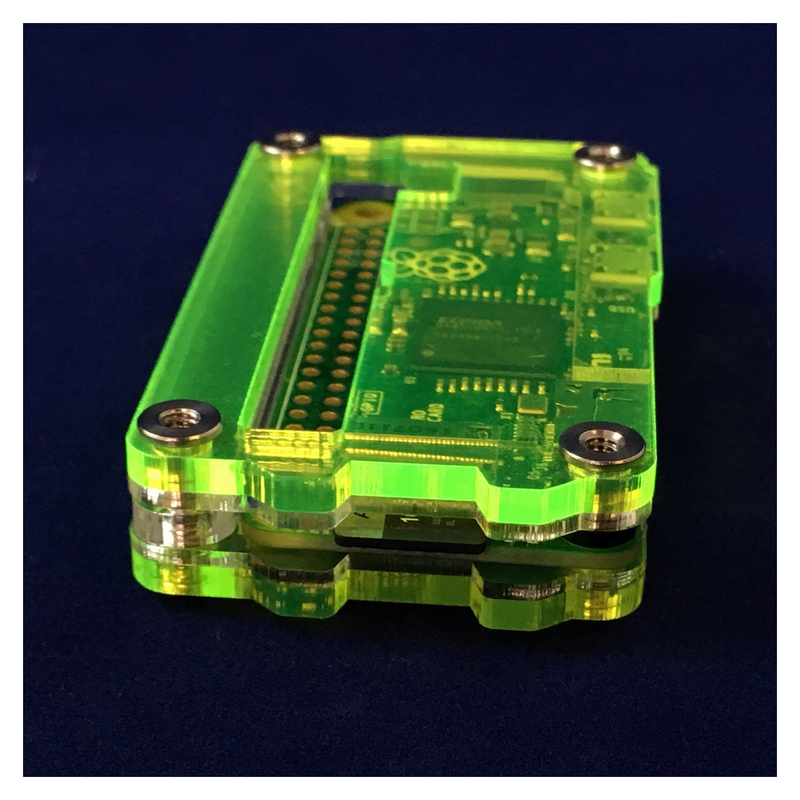 For Raspberry Pi Zero and Zero W (not included) with 3 color options. 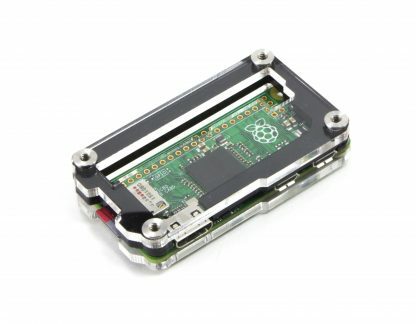 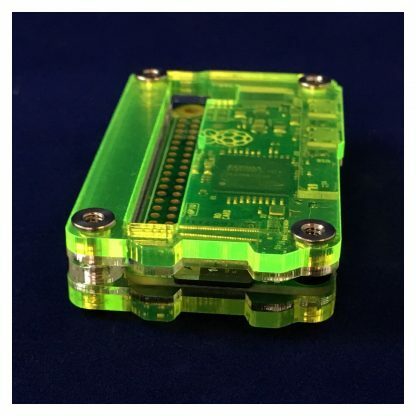 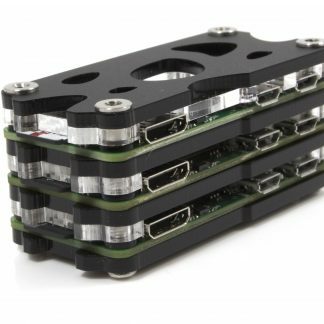 For the Raspberry Pi Zero & Zero W, the Zebra Zero Case offers ultimate protection with distinction. 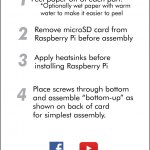 This case will fit the Raspberry Pi family: the Zero Wireless. 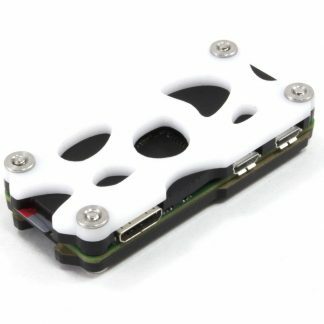 Same great compact fitting case with access to all ports. 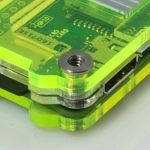 The clear top and bottom provide a great view of the board while maintaining a low profile with the help of our custom made C4 nuts. 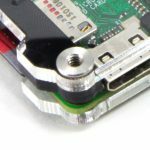 A benefit of our new nuts is that they can accept a bolt from either end so if you installed a HAT or pHAT, it can be secured to the nuts on the other side. 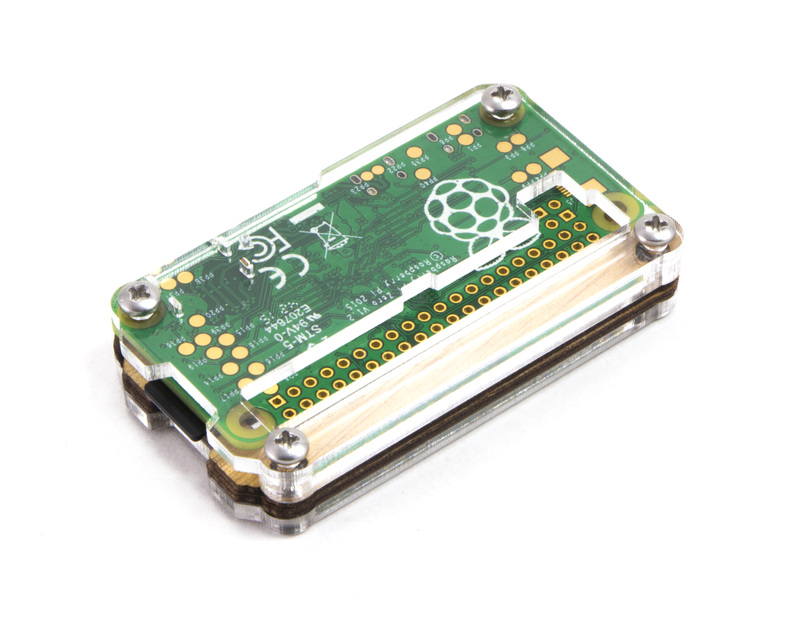 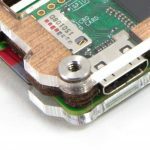 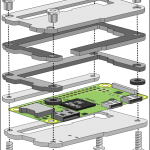 A straight or angled GPIO header can be installed on either side of the board with the GPIO case and able to fit a full GPIO cable connector from the either side.